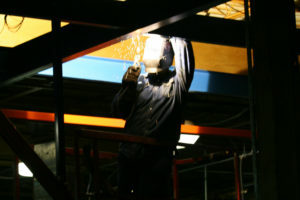 Floor space is at a premium in most manufacturing environments. 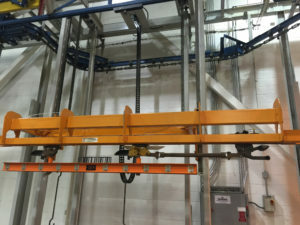 Phoenix can integrate conveyor systems that will provide you with efficient product transportation and WIP storage, while minimizing – and more often, freeing up – floor space for other value-adding processes. You pay for that overhead space…our systems are strategically designed to help you make the most of it. Phoenix Installation offers a full complement of custom design, panel building and installation services to meet the electrical control and HMI needs of our customers. We stay on top of all of the latest technology in order to provide our customers with the most efficient electrical control and automation system for their specific requirements. We strive to be an industry leader in custom automation solutions. For over twenty-five years, we have maintained a reputation for reliability and excellence in both mechanical and electrical expertise by installing all of the systems that we design. 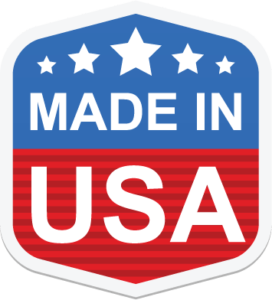 Regardless of industry served, many of our integration partners choose to have us install their equipment. 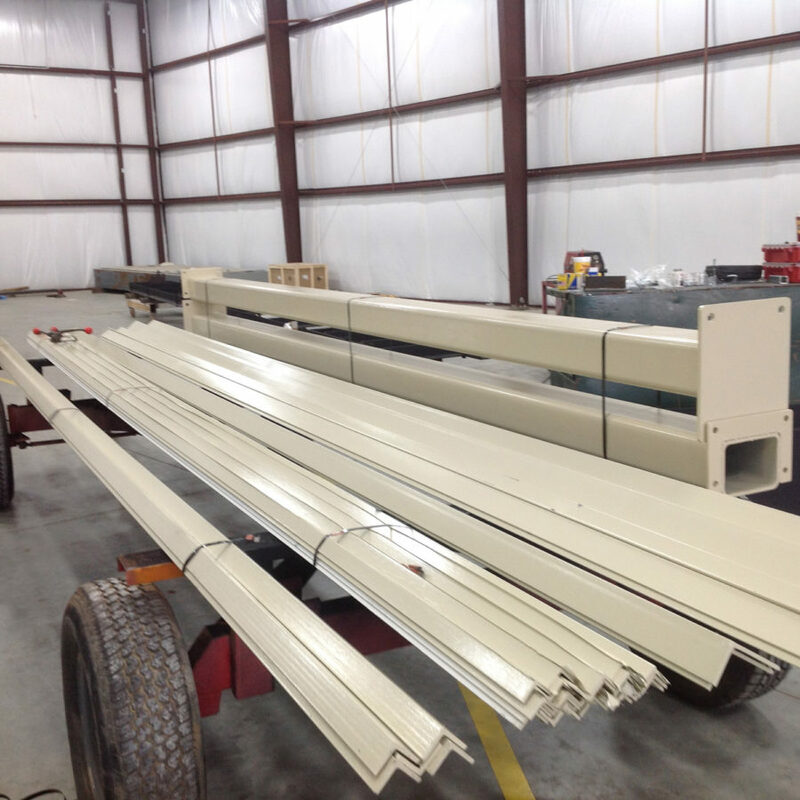 For many of our paint finishing integrators we install their washers, cure ovens and enclosures, paint booths, and air make-up units. Similarly, robot integrators may ask us to set their robots. In addition, we may install overhead conveyor, roller conveyor, towline conveyor, drag chains, and/or CDLR conveyor for other control houses. If you need an experienced source for conveyor system or equipment installation, we offer unrivaled expertise, a focus on the details and a reputation for reliability. 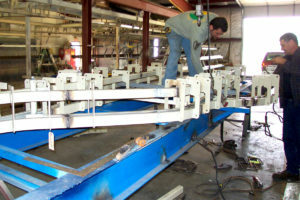 Custom fabrications are required in every system we build. Because of this, we maintain a fully-equipped machine shop and fabrication shop to serve these needs. 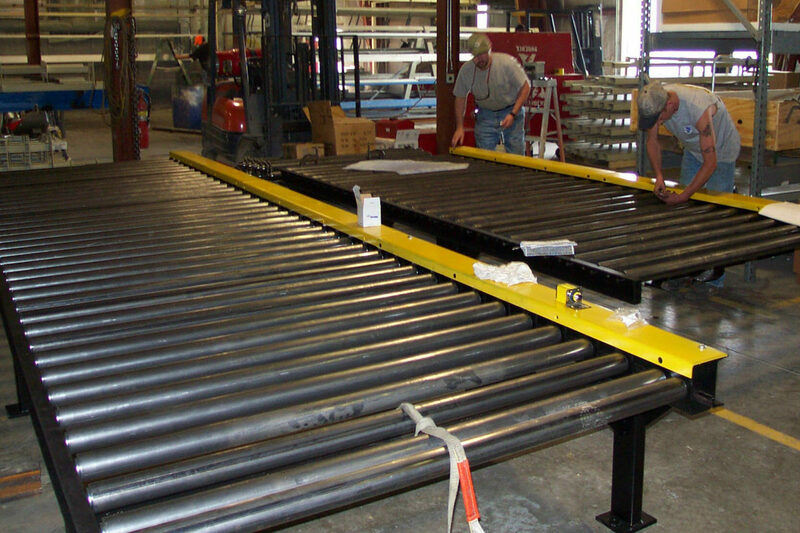 We also utilize these capabilities to fabricate lowerators, rotators, custom conveyors, racks, and fabrications that customers or other partners may require in their manufacturing processes. 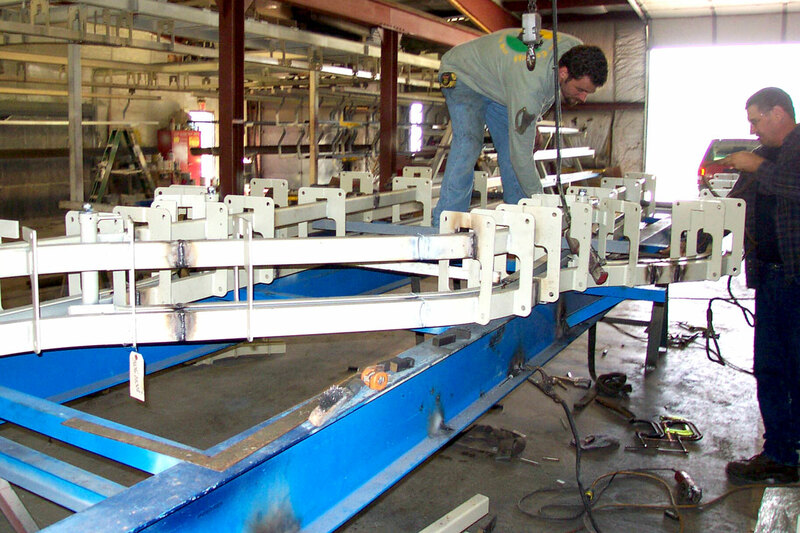 If you have a specialized need, we have the experience and expertise to fabricate it to your precise specifications. 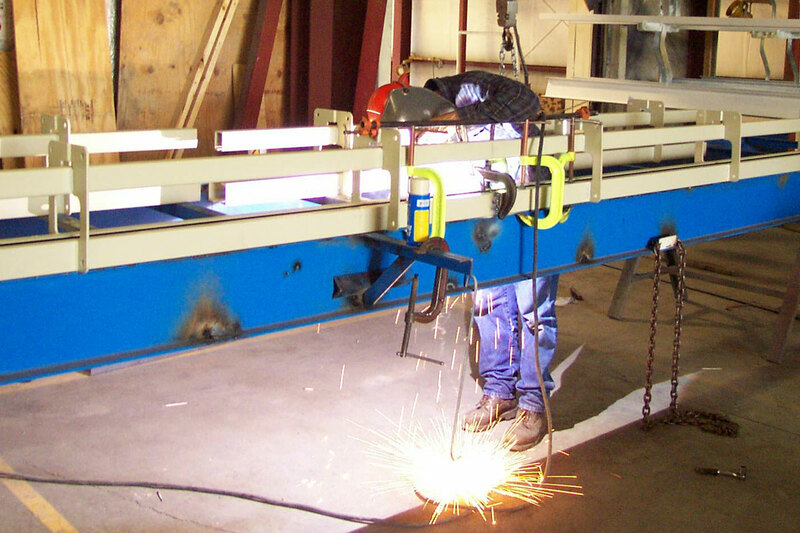 Whether you prefer to provide us with a CADD file from which we can fabricate your equipment, or send us a sketch and have our team design and build what you need, we offer robust custom capabilities. Have Issues With Your Equipment? If you are having an issue with an overhead or inverted chain conveyor, we have the ability to diagnose and correct the issue. 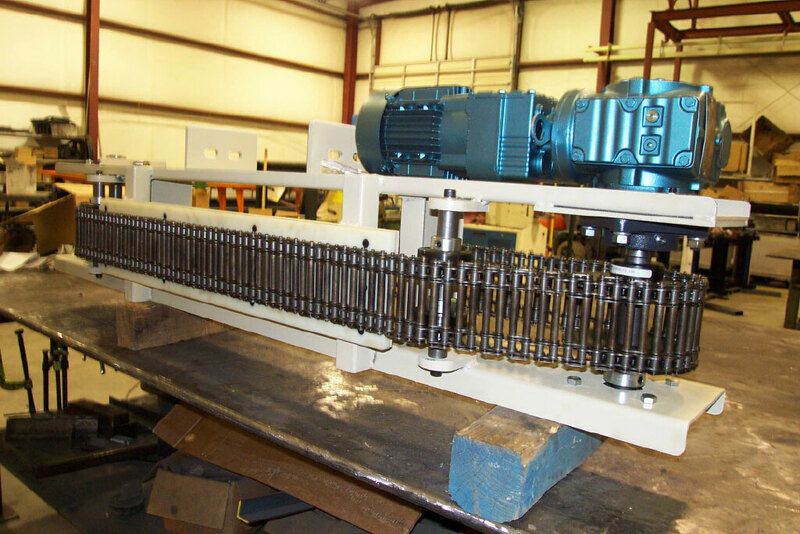 We have technicians with over 30 years experience in installing and commissioning chain conveyor systems of all types. 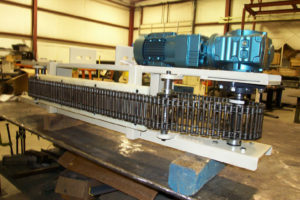 If you want to minimize downtime and ensure that your conveyor systems continue to run smoothly, we can support you on an ongoing basis with annual, semi-annual, or quarterly customized maintenance agreements to keep your equipment in shape, and to spot potential problems before they occur. Need To Support Your Equipment? 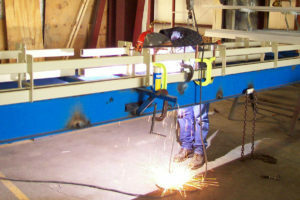 Most conveyors we supply and install require steel support. As a result, we maintain the engineering capability to design the steel you need, as well as internal fabrication resources to cut, fabricate, and paint the steel work required. The major components are designed and fabricated to be bolted together in the field, making the field work simpler and faster. If other integrators prefer to utilize our services to supply their structural requirements, we have the capability and the integrity to do so.